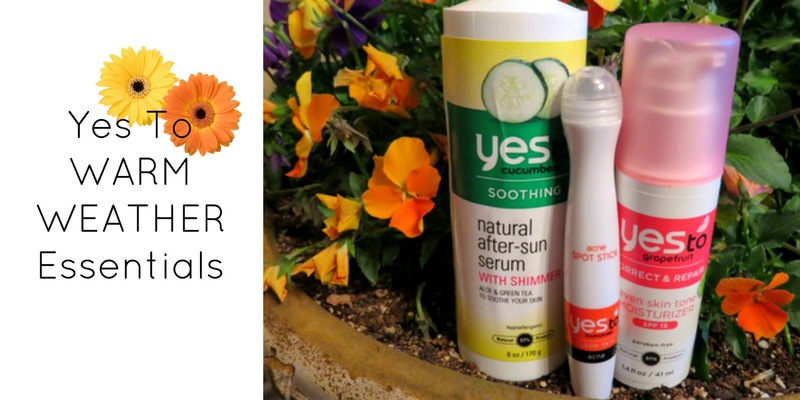 I have a new post on the Yes To Carrots blog—it's about my warm weather essentials. And let me tell you what, that little red Spot Stick in the middle works wonders... I kid you not—it's a little miracle pimple zapper. Click HERE to see the full post and my 3 must-haves for this season's warm weather! Oh, and in case you're curious, to find out how I became the Yes To Carrots "Yes To Stylista," read this post. Now it's your turn—what are your essentials for spring & summer? You have got to try the spot stick! Every time I get my eyebrows waxed, my forehead totally gets all these little annoying zits. I put that stuff on at night, and they're gone the next day. It's amazing! And I'm so glad you like the Friar Tuck! That's wonderful! I have not heard of these but I may have to check it out! If I'm not wearing much eye makeup: I'll use the Yes To makeup remover pads ( http://www.yestocarrots.com/product/yes-to-cucumbers-eye-makeup-removing-pads?product_id=3311196) and then use their daily cream cleanser ( http://www.yestocarrots.com/product/yes-to-carrots-daily-cream-facial-cleanser?product_id=1311033)... it's really gentle and I love it. If I'm wearing a lot of eye makeup (black eyeliner, shadow, etc), I'll use Mary Kay makeup remover and then the Yes To cream cleanser. If I'm feeling lazy, I just use the Yes To wipes... these are my fave ( http://www.yestocarrots.com/product/yes-to-cucumber-facial-towelettes?product_id=1023)... and no I don't use all that Yes To because I'm their stylista. I just truly love their product. I just wash my face in the shower with my Dove soap... nothing fancy. I always apply a moisturizer after, and lately I've been using this Yes To one ( http://www.yestocarrots.com/product/yes-to-grapefruit-even-skin-tone-moisturizer-with-spf-15?product_id=6311101), though I also really enjoy Olay. Anyway... too long of an answer? I didn't want to leave you hanging. Have a great day!